The 2013 Iowa Prairie Conference is now completed. For images from the 14th Iowa Prairie Conference, check out the photo links page. 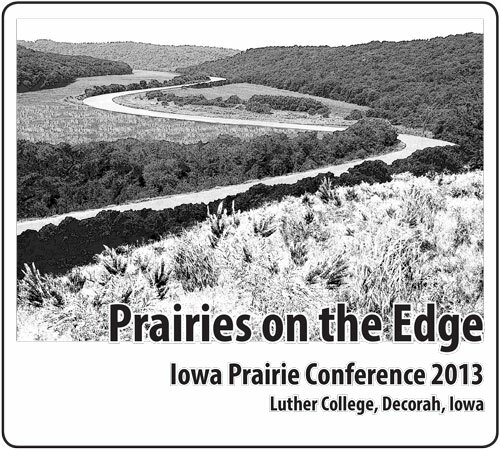 Currently at least 5 presentations from the 2013 Iowa Prairie Conference have finally been posted for viewing on Vimeo. A special thanks to the Tallgrass Prairie & Oak Savanna Fire Science Consortium for handling this! Hosted by the Department of Biology, Luther College, Decorah, Iowa. Program will occur on the Luther College campus in Valders Hall of Science. At this point there will be several optional Thursday evening opportunities on the Luther campus, Friday morning talks, several Friday afternoon field trip options, a Friday evening banquet and social time, and an all-day Saturday field trip to Allamakee County hill prairies, concluding by 5 p.m. on Saturday.